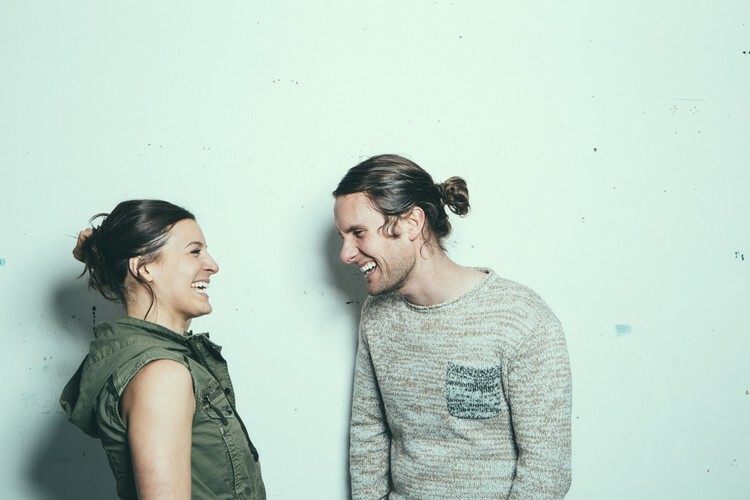 Brooklyn based duo The Bergamot have been delivering their vibrant brand of smooth indie pop, with a contemporary folk flare, for a few years now. Right on the heels of a successful Kickstarter campaign, their 4th LP is coming to you this May and has been promised to be their best yet! We’ve already got a peak into the record via YouTube and the sound is nothing less than a fresh take on the already perfected dynamic between the married couple. The creative minds of Jillian Speece and Nathaniel Paul Hoff came together quite some time ago in high school, and have since released 3 full albums, and toured all over North America and Europe. Their eclectic song writing style comes together seamlessly, touching on many topics of life from pure happiness to complete heartache. The pairing of Jillian’s smooth and sultry alto voice with Nathaniel’s soft, and so well controlled vocal styling, create a wonderful harmony together. One that can feel out of this world while remaining grounded in their roots and having the raw beauty of undeniable musical talent. It’s this harmonious dynamic of the duo that will turn a first time listener into an instant fan, and make for an intriguingly original stage presence during their shows. Some of which you should definitely check out ASAP! Pulling influence from a wide variety of classic rock to indie genres, The Bergamot have successfully created a sound that is entirely their own. It’s a authenticity that you feel not only to their music, but to their genuine love of the craft, their artistry and eachother. The Bergamot have taken me by surprise and I predict huge things in their future. Be sure to check out some of their performance clips and acoustic videos on their YouTube channel, and don’t forget to delve into some of their previous releases. CleanPix | Brand asset management with a BAM!